Breaking Cycles provides case management and therapeutic interventions to high-risk youth and their families to break the cycle of delinquency. This collaborative program reduces juvenile crime, decreases reliance on incarceration, and ensures public safety by providing community-based interventions for youth and families. Community support and responses can be the most powerful and effective pathway to reducing juvenile crime and reliance on incarceration. Youth and Family Counselors (YFCs) are part of a multi-agency, multi-disciplinary team including the San Diego County Probation Department’s Director, Probation Officers, and Community Family Monitors. 85% of discharged participants were alcohol/drug free. In 2016, a total of 133 youth and their families were helped by Breaking Cycles through assessment and one-on-one and group therapeutic services. 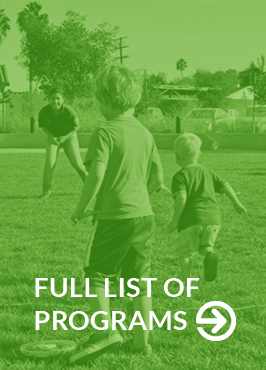 Eligibility: Through referrals from the Juvenile Court, SAY provides services to high-risk juvenile probation population and their families living the Central San Diego area.